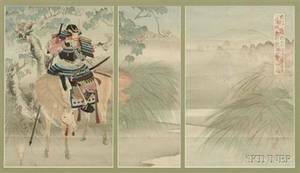 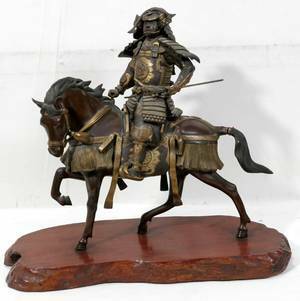 Japanese, 20th century. 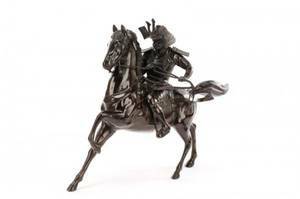 A figural bronze sculpture depicting the famed 14th century samurai Kusunoki Masashige (Japanese, 1294-1336) in full samurai battle attire, on horseback, with inscription to underside, with applied label to underside "MADE IN JAPAN", after the noted statue at the Imperial Palace, Tokyo, Japan. 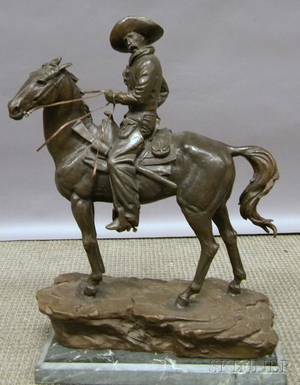 Overall approximately 27" x 39" x 13". 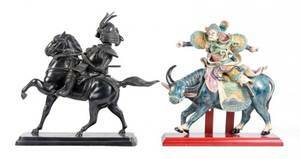 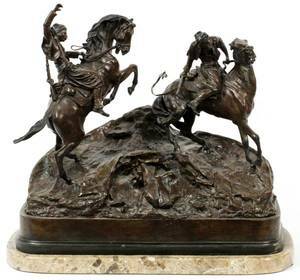 Pair of Pompeian Bronze Cast Metal Cowboy on Horseback Bookends and a Pair of Copper-Clad Native American on Horseback Bookends. 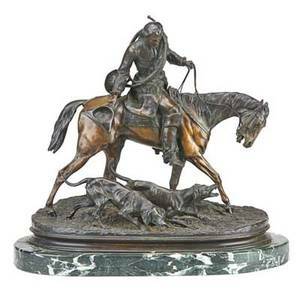 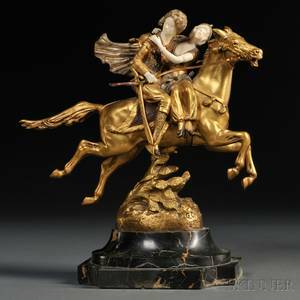 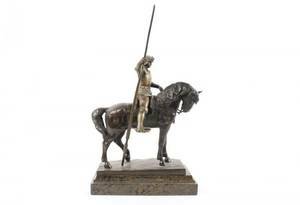 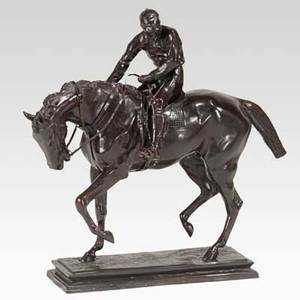 Bronze sculpture; jockey on horseback mounted on bronze base, 20th c.; no visible signature; 35 1/2"" x 40 1/2"" x 11""
After pierre jules mene (french, 1810-1879); bronze sculpture of a hunter on horseback on marble base; signed; 18" x 19" x 9"